Following the past information/announcement made by the chairman of the commission and former Inspector-General of Police, Sir Mike Okiro, saying that the Nigeria Police 2016 Job Recruitment Form & Registration starts today an he added that by unveiling the portal for the Nigerian Police Recruitment. We also came to understand also during his speaking while unveiling the portal he also said that there will be massive Nigeria Police 2016 Job Recruitment and giving an estimate of of 10,000 officers to be employed this year Nigeria Police force recruitment. 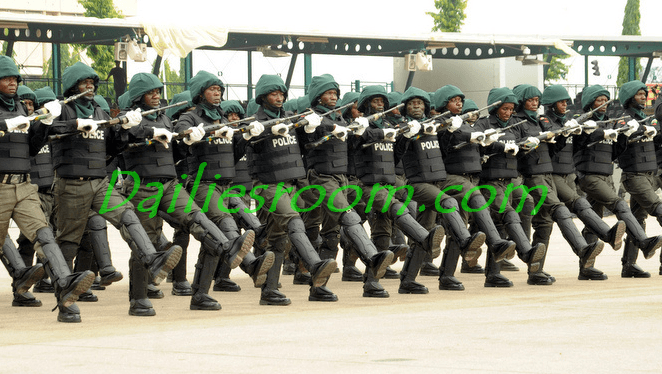 Now, good to announce to all interested Nigerians that the April 1st, 2016 which you have been waiting for is here, but the problem now is that the official portal for the 2016 Nigeria Police Online registration portal is still not responding, (as of today we made this post) and many many Nigerians are so worried about this. So therefore, today is the starting date for the job recruitment, even if the sites are still not responding for now. You all should keep on checking the site from time to time, possibly every day and every minute. Once the site is up all the requirements will be available for you to go through it. Or better still, we www.DailiesRoom.com Team are also monitoring the site for you guys so that once the site is up we shall announce it and at the same time explain the requirements also. SO keep on visiting this website to get every information you need for your success entrance into NPF job this year. Also the closing date will be announce once the website is up. Use the comment box below if you still do not understand any of what we have just explain to you concerning the Nigeria Police 2016 Job Recruitment Form & Registration, as we are here to put you through immediately. Also share this information to others you know that are interested too.